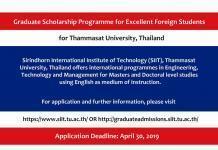 The Overseas Partner Scholarship is offered to international students who have completed a program at an articulated partner institution off-shore. The scholarship offers a 20% reduction in tuition fees for the duration of your course at ECU. The scholarships are open to prospective international students seeking to complete a bachelor’s degree at Edith Cowan University. To receive this scholarship the following ongoing conditions apply. 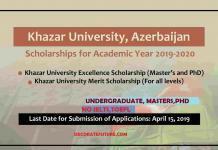 The scholarship recipient may be ineligible for a scholarship if they are in receipt of a government scholarship or industry sponsorship during the term of the scholarship. This is at the discretion of ECU. 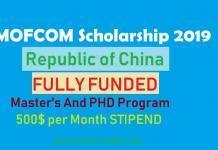 The scholarship recipient must comply with any applicable visa requirements. The scholarship recipient must maintain a full time enrolment of 60 credit points each semester or study period, unless otherwise approved by ECU. Course transfers are not permitted without ECU’s permission (permission may be withheld by ECU in its absolute discretion). The scholarship can be revoked if the recipient does not accept their Letter of Offer or enrol in their course by the date specified. The scholarship can only be retained if a recipient defers their studies for a maximum of one semester. The scholarship cannot be transferred to an ECU campus or partner outside Western Australia, or to another university. The scholarship recipient must consent to their image being used by ECU for marketing and communication purposes and sign a talent release form to facilitate this. The scholarship recipient must pay their tuition fees within the stipulated payment deadlines, failure to do so may (in ECU’s absolute discretion) negate the scholarship and the tuition fee structure will revert to full-fee international tuition. All scholarships are awarded at the discretion of ECU. ECU reserves the right to revoke the scholarship at any stage if a student is found to have provided information that is misleading, does not meet the scholarship eligibility criteria (including ECU’s standard and specific admission requirements), or does not comply with the ongoing conditions of the scholarship. ECU reserves the right to decline to award scholarships if, in its opinion, there are no suitable applicants. 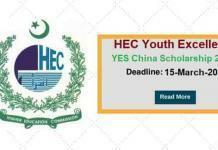 The number of scholarships to be awarded shall be at the sole discretion of ECU. These terms and conditions are for informational purposes only and ECU reserves the right to alter the terms and conditions on which a scholarship is awarded at any time. The Letter of Agreement will set out the terms and conditions relevant to the scholarship awarded. Students at ECU’s Off-shore articulation providers will be invited to apply for this scholarship. Applicants must be international students who apply for, and receive an offer, or a conditional offer, to commence study at ECU in 2019, 2020 or 2021. ECU strives to give high achieving students around the world the opportunity to pursue their ambitions and gain a world-class education. High achieving students from Afghanistan, Albania, Algeria, Angola, Anguilla, Armenia, Azerbaijan, Belarus, Belize, Benin, Bolivia, Bosnia and Herzegovina, Burundi, Cameroon, Central African Republic, Chad, Comoros, Congo, Costa Rica, Croatia, Cuba, Egypt, El Salvador, Ethiopia, Georgia, Ghana, Haiti, Honduras, India, Jamaica, Kenya, Kiribati, Kosovo, Lebanon, Liberia, Libya, Malawi, Mongolia, Montenegro, Mozambique, Namibia, Nigeria, Pakistan, Romania, Rwanda, Samoa, Senegal, Serbia, Sierra Leone, Somalia, Syria, Tajikistan, Tunisia, Turkey, Turkmenistan, Tuvalu, Uganda, Ukraine, Uzbekistan, Vanuatu, Venezuela, Yemen, Zambia, Zimbabwe are eligible for International Undergraduate Merit Scholarship. Scholarship recipients will receive financial assistance amounting to up to 20% (percent) of their ECU tuition fees for the duration of the ECU component of their study. Applicants are able to package with ELICOS. This scholarship is open to individuals who are prospective ECU students. You’re invited to apply through any one of ECU’s Authorised Agents. You can also apply online via the ECU Online Application Portal. Please note that if you’re a citizen of India, Pakistan, Nepal, Bangladesh or Nigeria you must apply though an ECU Authorised Agent. be aware of the dates and deadlines for completing any requirements in the Letter of Offer. The scholarship can be revoked if the dates and deadlines are not met.